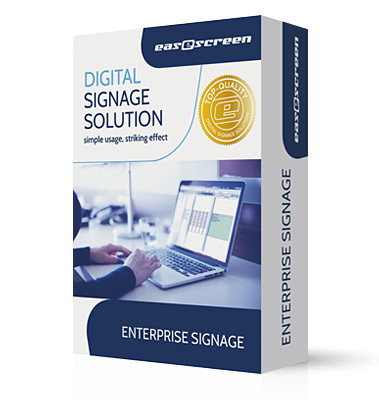 With digital signage and the easy-to-use software from easescreen, you can present your information anywhere in the world in any number of places while still enjoying significant advantages over traditional media. 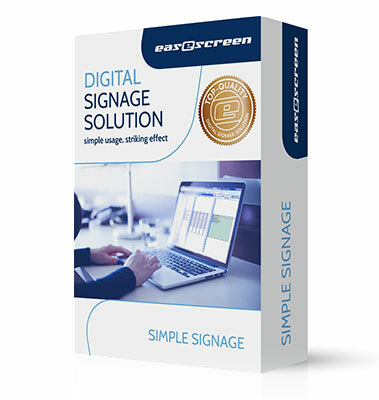 easescreen can be used for “simple signage” with a single display and a simple content management system up to business signage applications. 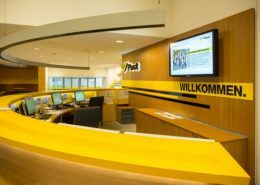 Market leaders place their trust in easescreen. You have the choice of On Premises or Online. 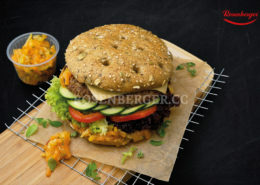 We grow with your requirements. 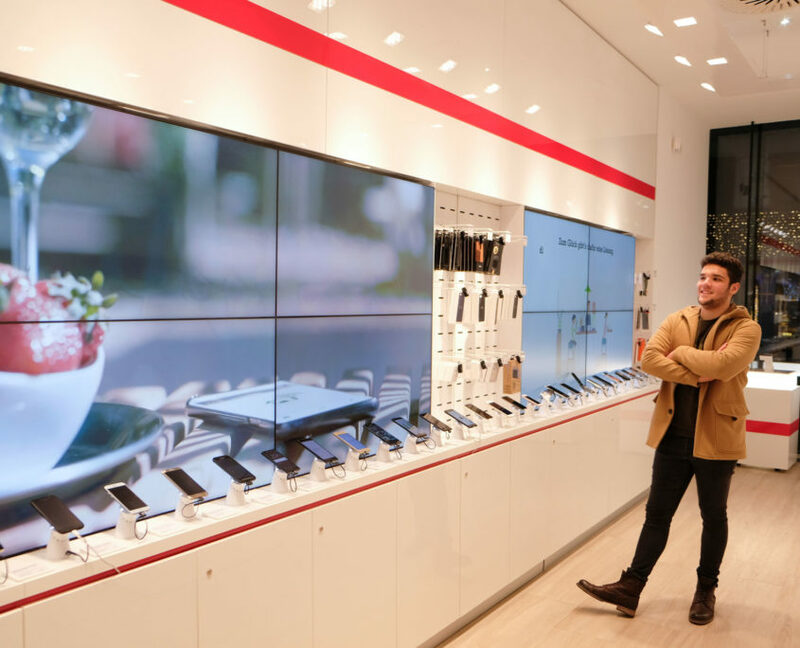 Thanks to its sophisticated scalability, easescreen can be used from the smallest solution to the automated omnichannel system for global chain stores. 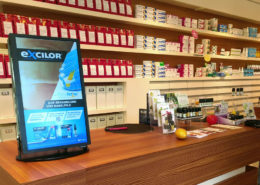 We are 20 years on the market and a competent sales team with a lot of experience in international digital signage projects will be pleased to assist you. easescreen is scalable and configurable for all projects. 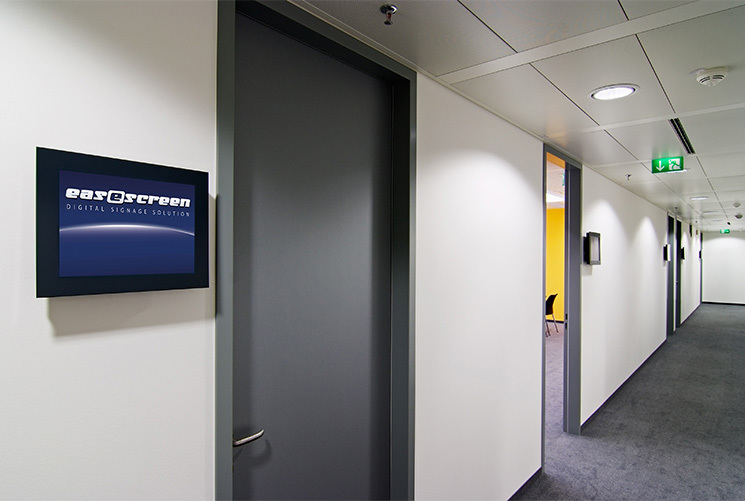 Depending on the requirements, easescreen offers different license packages. This is guaranteed by the concept of easescreen, which allows you to quickly and safely carry out and integrate individual adaptations to your specific needs – even if you want to receive and display data from “third-party devices” or read and process information from databases. Format variety incl. TV – 170 different media formats ready to play. easescreen supports popular TV formats (DVB-T, DVB-S, various IP-TV systems), which can be displayed at any point. The big advantage of easescreen lies in its ease of use. This is effortless for any user with knowledge of Windows. All playlists and playback layouts can be created by yourself thanks to the clear and intuitive interface. Easescreen makes it easy for you to transfer content and schedules at the click of a mouse. Routine settings and updates can also be performed via the web interface (integrated HTTP server). You have an exact overview at all times, because the preview and screenshot function of the screen manager allows you to have a completely identical preview of what will be displayed or is being displayed on the POV (Point of Visualization). Checks and documentation are possible with easescreen at any time. Each POV stores all playout and status information as the basis for billing or service. With easescreen you are completely free to easily design your screen layout. You are not bound to any templates. The selection of pre-generated screen layouts is always open to you. Previously created layouts can be saved and reused if necessary. Each screen layout can be divided into any number of “sub-screens” and “free windows” to which any playlists (webpage, movies, TV images etc.) can be assigned. Layouts from a word processor of your choice and templates can be automatically or manually filled with your current parameters (for example, a welcome page for guests). easescreen allows the definition of any number of levels for the separation of layout and content or for the allocation of editing permissions to any number of people, groups or departments. This means that organizational and legal separate schedules can be created independently of one another, which can then be mixed together automatically into a common playlist in the actual display according to given rules. 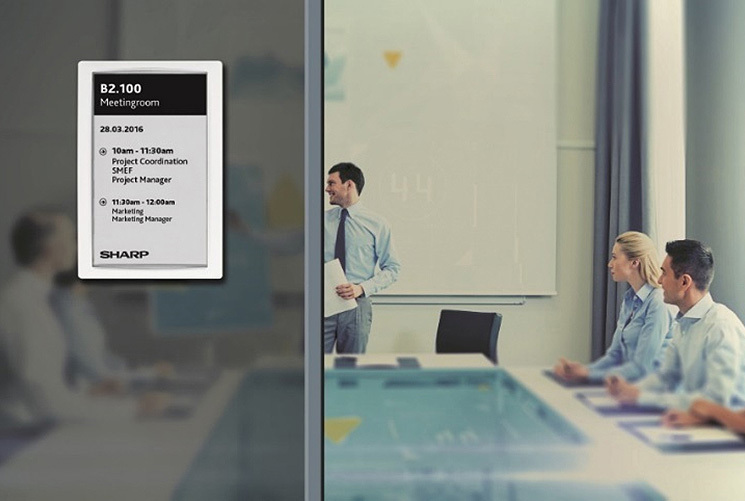 Easescreen’s interactive software can respond to both input from people (e.g., touch screen) and external trigger events (e.g., sensors, network thresholds, temperature, etc.). Switching from stored display contents can thus be triggered automatically. 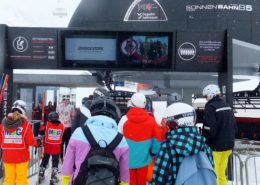 easescreen has been specially optimized for all types of electronic displays and thereby ensures reliable turn-on, switch-off and / or automatic monitoring of the terminals (displays, players). With the appropriate hardware features, easescreen can simultaneously supply multiple output devices with content from one player. 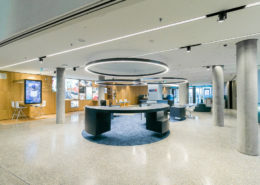 Independent playlists per screen and the connection of multiple screens to a large display area can therefore be realized. The players are operated in smaller easescreen networks directly through the screen manager which can be installed on several workstations. The contents of the players can be edited by several screen managers according to the rules of the rights management thereby saving you costs and trouble. In larger easescreen networks, the use of the easescreen management server software is recommended. For large networks, we recommend the easescreen management server software. In addition to the fully automated communication with the individual players, comprehensive monitoring and reporting functions are thus made available. With easescreen you have a highly integrated program package that is proven to be very easy to install, maintain and upgrade. 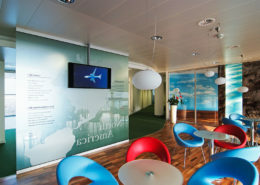 A typical client installation does not take more than 30 minutes! Updates and upgrades can be carried out over the network. The only requirement for the easescreen player is the operating system Windows. 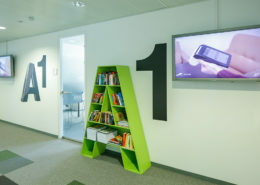 eSign is easescreen’s innovative solution for room booking and resource management. 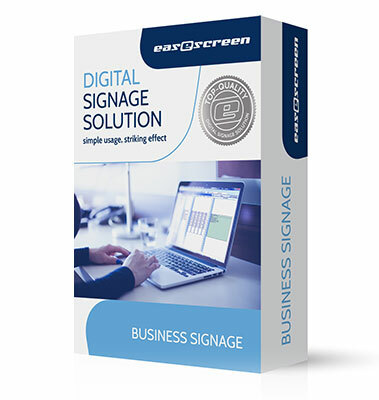 The easescreen eSign-Server provides a web-based booking tool for the administration of rooms and resources. 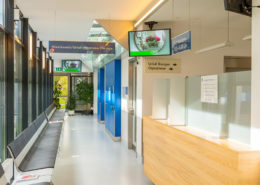 eSign Touch door signs support the 2-way-synchronisation an the automatic import of booking information (Microsoft Exchange/Outlook, Google Calender, and many more) and they are compatible to all established types of database and booking systems (CSV, XML etc.). Which project are you planning? Our experienced sales team is at your disposal. 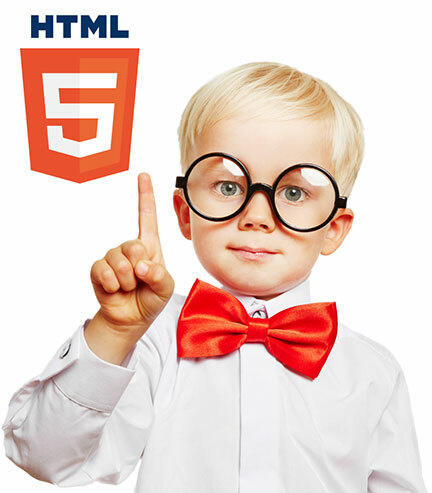 Without a native app, the HTML5 client runs on any browser that displays HTML5.